Lavender is an important ingredient for your self-care routine. Amid the many attributes of lavender it’s best known for its calming effect on temperaments. After the hustle and bustle of a demanding day take time for a little self-care and indulge in a little lavender. 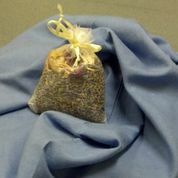 Recently Heritage Lavender contributed a box of our dried lavender bundles for a “relaxation mission” in New York City. I have a sweet endearing niece, Erica Sullivan, who loves helping people! 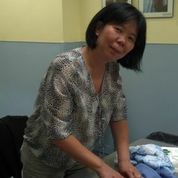 Erica works with the Happy Hearts Ladies Club near Flushing New York and she wanted to introduce the group to some self-care techniques. What better than a little lavender? With instructions on how to use Susan Harrington’s’ “Bud De-Nuding Device” and a few empty organza bags the women enjoyed making their own sachets. 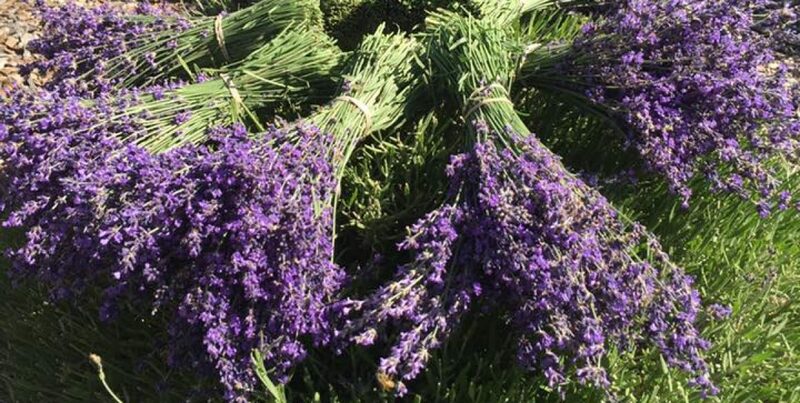 In an email Erica writes “Our lesson the day of lavender sachets was on “aromatherapy as self-care” and how simple environmental cues, like smells, can remind us to take a moment to do something good for ourselves. We talked about the importance of scheduling self-care and incorporating it into our routines because of the many wellness benefits like, calm mood, positive outlook, and time to reflect on what’s really important in life.” Wonderful words of wisdom, a lesson like that can have a ripple effect through a family or community benefiting many. Self care is important for self-preservation. Winter months create a natural time for our bodies to slow down, take some deep cleansing breaths and get more rest. An exercise specialist at the hospital told our aqua fitness class yesterday that there are 26 known diseases directly linked to improper breathing. Stress and tension cause people to hold their breath and now research has linked it to illness, our bodies need oxygen and if you add a little lavender to that oxygen it takes your relaxation up a notch or two! Take time for yourself, perhaps a hot bath with a few sprinkles of lavender essential oil, a cup of warm lavender tea to help your body and mind relax and then off to bed with a lavender sachet tucked into your pillow for a good nights sleep. Okay, you get the idea, yes? Fill your lungs with a deep cleansing breath, savor a little lavender, nourish your self. Self care it’s good for you and your health! Erica Sullivan takes a deep breath of mountain air.